Incredibly sad news to report out of the college football world. 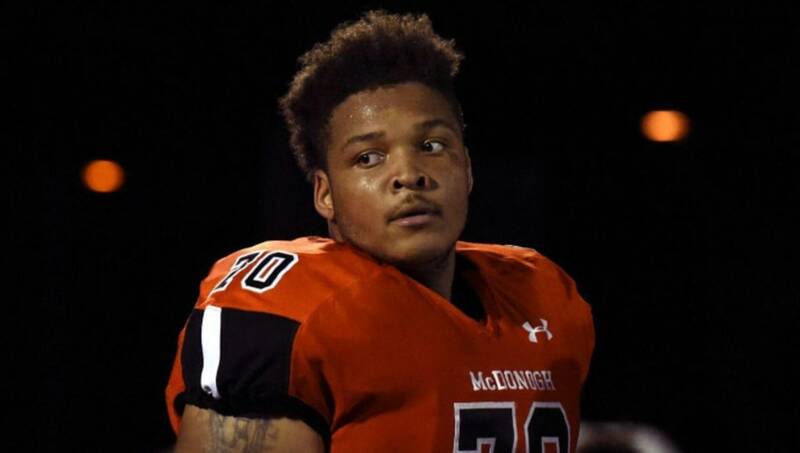 ​Jordan McNair, an offensive lineman for the ​Maryland Terrapins, passed away on Wednesday afternoon from liver failure. McNair was first hospitalized on June 4 after collapsing during an ​offseason workout. He received a liver transplant several days later and had been fighting for his life ever since. The school acknowledged the situation recently and said he was in critical but stable condition, but didn't provide details on what led to his hospitalization. A GoFundMe page was started to help with McNair's recovery. However, the page did not state exactly what his medical condition was. Following the news, former and current players all took to Twitter to show their support for a fallen teammate. Coming from Owings Mills, MD, McNair ranked as the No. 23 offensive guard in the class of 2017. This really is a sad story out of College Park. A young guy with so much of his life ahead of him having his life cut short in such sudden fashion. Our thoughts and prayers are with the McNair family.